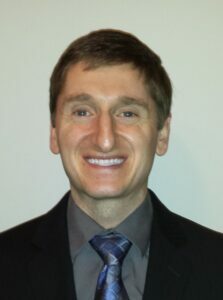 Dr. Brian Homann is a general dentist located in Elk Grove Village. Dr. Homann grew up in the Rockford area. He completed his undergraduate work at the University of Illinois at Urbana-Champaign with a degree in Physics. He graduated from the University of Illinois at Chicago College of Dentistry, and has been practicing dentistry in Elk Grove Village and Chicago since that time. Dr. Homann is currently an adjunct professor at the U of I College of Dentistry and oversees students at offsite clinical facilities. He helped co-author a scientific paper published in Oral Oncology regarding an early oral cancer screening technique. Dr. Homann is an active volunteer and has been recognized by the Chicago Dental Society with the 2014 Vision Award for his work with the underserved population of Chicago. He also volunteers his time on a dental advisory committee and fundraising board to help expand access to dental care in the Chicagoland area. In his free time, Dr. Homann is an avid runner, and has finished numerous races, including the Chicago Marathon, and the Great Illini Triathlon. Dr. Homann is married to Jessika, a 3rd grade teacher, and they have an adopted border collie mix named Sadie. For almost 20 years, Linda has worked at our dental office as a hygienist. She graduated from William Rainey Harper College in 1985 with an Associate of Applied Science degree. For Linda, the best part of working at our office is having the opportunity to work with our patients to help them achieve optimal oral health. She has also enjoyed working side by side with the same excellent team for nearly 20 years. 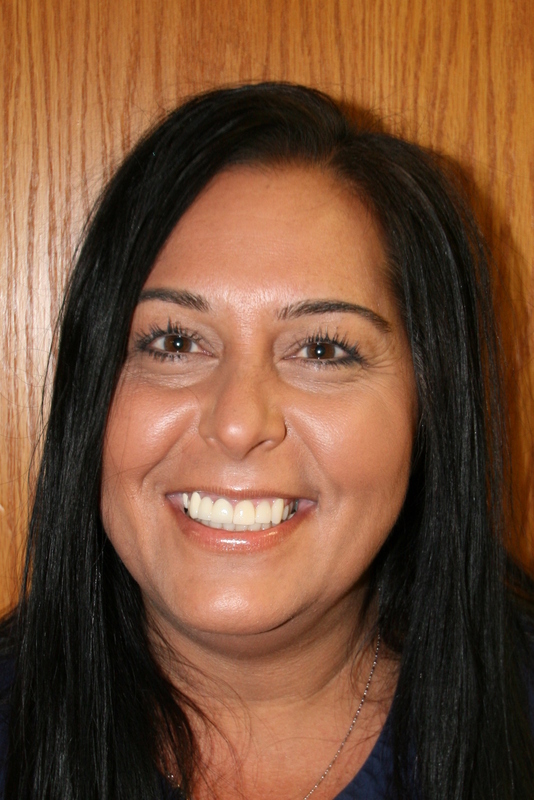 Linda is committed to keeping up to date with the latest trends and advancements in dentistry, and she gives each patient her undivided attention and professional care. She is friendly, dependable, and efficient, and she also likes to pitch in to help her coworkers when there is downtime. Linda hopes to continue working at our office for many years to come; the patients and staff make her feel like she has a huge extended family! Linda has been married to her husband, Scott, for over 25 years. They have three children: Andrew, Kera, and Kyle. She enjoys spending her free time with her family, doing simple things like going for walks, cooking meals together, and just hanging out. Swina graduated from the Harper College Dental Hygiene Program where she received her Associates in Applied Science in Dental Hygiene. 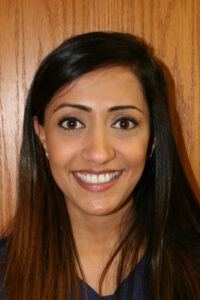 Swina enjoys getting to know her patients and building long term relationships. She strives to provide high quality care to her patients by listening to their concerns and focusing on each patient’s individual needs. Swina enjoys talking with patients about current oral health topics and is always looking for new ways to help patients improve their smile. Swina grew up in Elk Grove Village, and went to Elk Grove High School. She met her husband while in high school and has been married for over 10 years. They are proud parents of 2 boys. In her free time, Swina enjoys watching the Bears and the Cubs, and volunteers her time in the dental field, as well as at her children’s school. 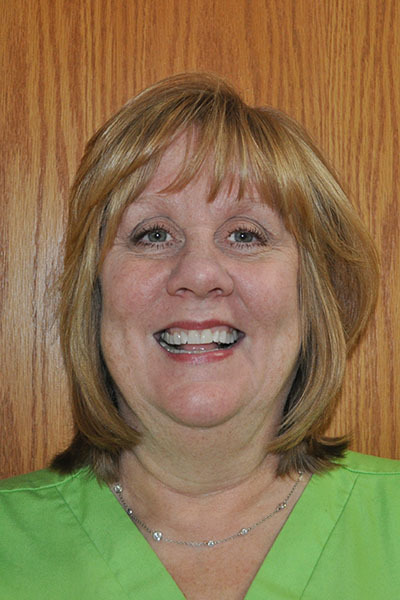 Ann has been with our dental office for two years and strives to make sure all of our patients’ needs are well taken care of. If there is one thing Ann enjoys about our office, it is the friendly, caring atmosphere we strive to foster as she works alongside the other members of our team and our very nice patients. 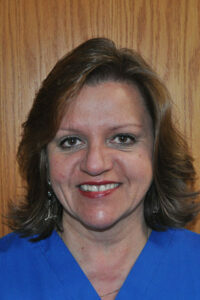 Ann attended Triton College, where she became a Certified Dental Assistant. She also speaks Polish to help meet the unique needs of our patients. Outside of the office, Ann is married to her husband, Mike, and has two children, Michael and Victoria. Karen joined our dental team in 1989, and she loves working with our wonderful patients and great team. She is the friendly face you will see at the front desk when you visit our office. 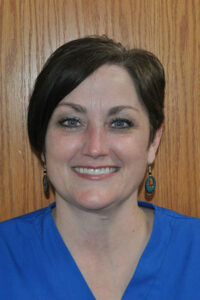 Karen keeps our dental practice running smoothly by answering the phones, helping patients with insurance, and more. Karen has been married to her husband, Leon, for over 32 years, and they have three children. Sandra is our patient coordinator and helps our patients schedule appointments, understand insurance coverage, and assists with their dental care. Sandra is also the smiling face you may see alongside Dr. Homann at the Elk Grove Village Farmers Market, GOA meetings, at the Community Character Coalition of Elk Grove, and other various events throughout the Elk Grove Village, Itasca, and Wood Dale communities. Sandra currently lives in Arlington Heights and has 4 children: 3 daughters and 1 son. When Sandra isn’t busy with her children’s activities such as cheerleading and hockey, you can find her enjoying time with friends and family, traveling, or at a Bon Jovi concert!